Last week I discussed Barcelona unusual series of bad results in La Liga. Barcelona reacted quickly with the compelling 4:2 win over Tottenham in London in second Champions League group match. However, on Sunday everything was forgotten with the lackluster performance in Valencia which brought just one point for 1:1 draw. Barcelona is not the only one soccer giant struggling in past weeks. Real Madrid, the rival of Barcelona, lost on Saturday with Alaves 0:1 with a goal in injury time. It was Real second loss in a row, and third in last four matches. Real gained just point in the last four matches for 0:0 draw against Atletico Madrid. Real Madrid did not score a goal in four matches in a row. That is so unique for such dominant team as Real Madrid is (or was in last years). Bayern Munich is also in the unexpected situation. Just two draws in last four matches. 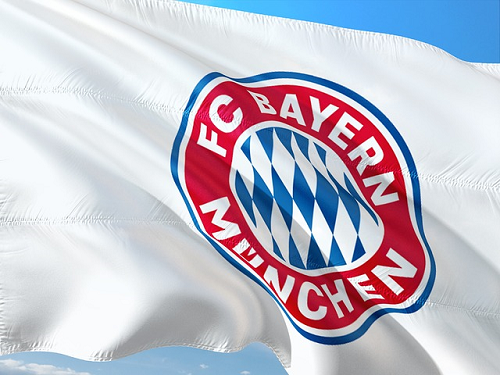 Humiliating home defeat 0:3 against Monchengladbach on Saturday was just last of the unsuccessful performances of the team, which won 6 German Bundesliga titles in a row. One could say, that all clubs are still near the top of their league tables. That is absolutely true. Barcelona is second (with one point gap on the leader), Real is fourth (with two points gap on the leader), Bayern is sixth (with four points gap on the leader) at the moment. There are a lot of clubs in Europe who would like to be at their positions and would not call it a trouble. However, Real Madrid, Barcelona, and Bayern Munich are measured differently. I see two possible reasons for such results. All three clubs were between the biggest contributors to national teams at summer World Cup. Almost entire squads of Real Madrid, Barcelona, and Real Madrid were in Russia during summer. No rest, no holidays between the seasons can be one of the reasons for the recent slump of above-mentioned clubs. However, there were other clubs like Manchester City, Paris St. Germain or Juventus with similar numbers of players at the World Cup. And they still have results we are used to. The second possible reason lies in a system of play Barcelona, Real Madrid, and Bayern use. All three teams are possession driven teams. In all matches they had plenty of possession, they kept the ball well over 60% (with exception of Real – Atletico Madrid game). Maybe the opposing teams solved the system and find the way how to defend well and attack quickly and efficiently. I watched half of the 12 matches mentioned. I am convinced that the results were the combination of both factors I mentioned above. Barcelona, Real, and Bayern did not handle well the fatigue and motivation of players who came back from World Cup 2018. Also opposing teams were defending very efficiently with goalkeeper usually performing well over his usual standard. How to return on winning path? There will be an international break (due to UEFA Nations League) next weekend. Unfortunately, that does not mean a break for players of Real, Barcelona, and Bayern. They will travel to represent their countries in the competition still looking for its identity. Maybe, there will be some manager firings during the week, but I would prefer to focus on managing the fatigue. Trying to give some rest to key players, to let them gain the motivation and energy to compete again.